38 CFR §3.156(c) is a unique regulation just as §3.105(a) is. It allows you to climb into the VA DeLorean and travel back in time to the day you filed a claim for __________. The codicil in §3 .156(c) is that you must find and present new and material service department records that are not in your claims file-but undoubtedly should have been when you filed the claim. They must be on point and relate to the claim you are disputing. You can’t send in your Special Court Martial records for AWOL and reopen a claim for SFWs. If you didn’t answer VA way back in 19__ when they wrote you a letter and asked for any evidence you had, you screwed up. Remember, the VA claims system is a two-way street. This isn’t a shoot-and-forget project like a LAWS rocket. It’s much easier to win a §3.156(c) claim than a §3.105(a) Motion to revise an earlier final decision too -assuming the chuckheads at your local Fort Fumble can read and comprehend Part 3 in 38 CFR. Sadly, my folks at the Seattle Puzzle Palace were unable to decypher the true meaning of it. I’m fixing to enlighten them. First, let’s clear the air by examining this little present from Congress. Much has been said and much more obviously needs to be because for some inane reason, the email hasn’t gone out from the OGC in a good Precedent decision that adequately explains it. Votre attention, s’il vous plaît. (iii) Declassified records that could not have been obtained because the records were classified when VA decided the claim. (2) Paragraph (c)(1) of this section does not apply to records that VA could not have obtained when it decided the claim because the records did not exist when VA decided the claim, or because the claimant failed to provide sufficient information for VA to identify and obtain the records from the respective service department, the Joint Services Records Research Center, or from any other official source. (3) An award made based all or in part on the records identified by paragraph (c)(1) of this section is effective on the date entitlement arose or the date VA received the previously decided claim, whichever is later, or such other date as may be authorized by the provisions of this part applicable to the previously decided claim. (4) A retroactive evaluation of disability resulting from disease or injury subsequently service connected on the basis of the new evidence from the service department must be supported adequately by medical evidence. Where such records clearly support the assignment of a specific rating over a part or the entire period of time involved, a retroactive evaluation will be assigned accordingly, except as it may be affected by the filing date of the original claim. As usual, VA will try to throw you with multisyllabic verbal monstrosities. Ignore that. There has been much litigation as to what constitutes “service department records” and an equal number of claims for this arguing the application. If you find some orders that showed you went TDY to Vietnam in 2018, that pretty much proves you were there. If you filed a claim for DM II back in 2001 and now present that DoD Form 626, Bingo. Your effective date for SC on DM II is 2001. 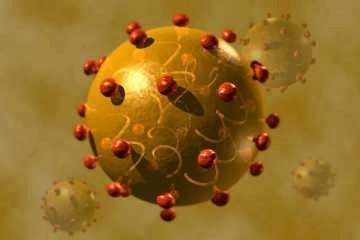 It makes no difference if you got Scarlet Fever and failed to deploy. If you present them and dishonestly claimed you were there, VA is going to have a hard time rebutting it. I do not advocate fraud. Do not misunderstand my point here. Evidence is evidence. Some evidence can help and some can hinder. Fraud will cost you everything-even what you don’t lie about. But I digress. If you were incountry, it will grant you presumptive exposure to those delicious six flavors of herbicide Uncle Sam sprayed. As an aside, I was quite impressed the first time I saw it sprayed in 1970. Who knew it doubled as bug spray? Not me. Mosquitoes and ants disappeared. Hell, lizards, snakes and most anything else did too. I considered it a multipurpose tool like a Swiss Army Knife. So, you meet the first codicil in (1). You have the records proving you suffered from ________ in service or were in-country. Now let’s look towards the end of that statement. It says VA will “reconsider” the claim. Whoooooooo, doggies, gentlemen. That is an entirely different statement than “reopening“ a claim with new and material evidence as described in §3.156(a). When you reconsider a claim, you go back and look at not only the evidence from 1970 or whenever, but reconsider all evidence of record that has been developed from the get go up to now. If you filed numerous times and were denied for all of them-even if you went all the way up to the CAVC- you can still reopen the claim with the service department records and obtain your original filing date. Not so with a CUE claim. If you appeal a CUE to the BVA, your claim is dead in the water when you lose. You’ll need a new theory as to why it’s CUE if you want to start over. Remember always that a §3.156(c) claim is a non-final claim. It’s still open. (i) offers the codicil that it makes no difference if the records do not mention you by name. Let’s say you were a cook at An Khe when the gooks steamrolled through in October 1968. VA says your MOS was chief cook and bottle washer so there’s no proof of your claimed stressor. You provide orders showing deployment to Camp Radcliffe proving you were there October 30th roasting marshmallows at the big fire down at the ammo dump. It makes no difference. You win (assuming you do actually have bent brain syndrome). These are generally records developed by JSRRC. Of course, if the records you find have your name on them, this usually happens a shiton faster. A JSRRC search can take a year or more and you have to be pretty darn specific on when and most especially where it happened. (ii) merely reiterates that the Army might have been a little slack in their recordkeeping or that the NPRC neglected to send VA those inpatient records from the 312th Air Evac. Hospital in Chu Lai. Always remember, there’s a treasure trove of VA records at the NPRC from any hospital stays. They are located in a different building (fortunately) and didn’t suffer from the Friday the 13th burnoff back in ’73. The same applies to military personnel records. 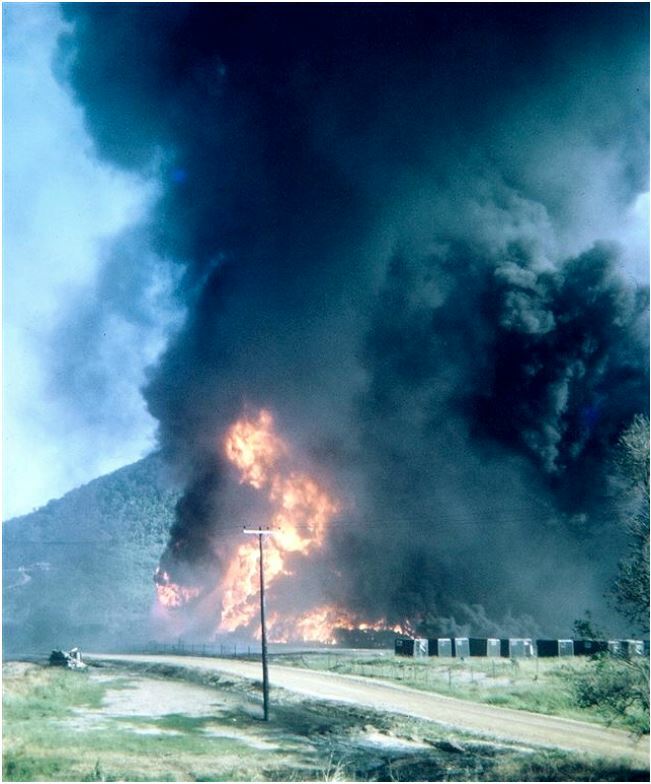 The ’73 fire hit mostly the STRs. Hell, those STRs from the hospital may still be at Camp Zama or Tachikawa AB. 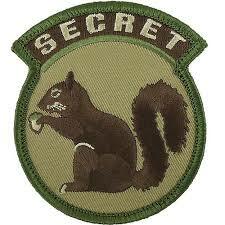 (iii) covers the secret squirrel aspect. I found some interesting stuff at the University of Texas Dallas on my 1970-72 Air America adventures back in 2009. It just took a while to “surface”. (3) finally gets to meat of the regulation. Read it slowly and it clearly and unequivocally says “An award made based all or in part on the records identified by paragraph (c)(1) of this section is effective on the date entitlement arose.” This is the important part. Let’s discuss entitlement because the word has multiple meanings. To VA, entitlement is a double-edged sword. If you dined on a 60mm mortar like Butch, your “entitlement” to service connection arose the day you ate said mortar-in this case at the stroke of 2325 hrs (L) on January 18th, 1969 several klics west of Dong Ha, RVN (LZ Cork). Your entitlement to VA benefits, however, arose on the day you filed for it. If you were discharged and walked off base to AmVets and put down your marker the next day (or any time within the first year of discharge). your effective date of entitlement is the day after discharge-i.e. your first day of being a civilian. If you stupidly dawdled and filed on the 366th day, you effectively screwed yourself out of a year’s $ and that would be your effective date. If you filed in 2001 and produced these records, then 2001 is the earliest date your entitlement arose. Remember that entitlement word. VA would like to adjudicate these claims based on the medical evidence presented solely in the new service department records but that is not how it is written. The language is clear and unequivocal. If you have records created at your local VAMC that say you have a hard time hearing over the bodacious tinnitus they forgot to rate you for in ’70 but they graciously offer to give you 10% for it now in 2018, that’s error. If you complained about it then-and filed for it- they have to pay all the way back regardless of whether they just now determined you actually have tinnitus. Likewise, if you filed for ju-ju eyeball and blurred vision in ’70, because of those 9 retained metal fragments they just found last month, yep, the date of entitlement to that 10% for eye injury (unhealed) was 1970. Reconsideration views all the evidence of record to date-not just the service department records from 1970. 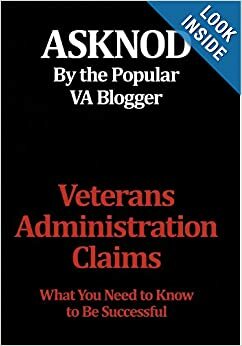 §3.156(c) requires VA to reopen 1970 from scratch and study all the medical evidence of record- or what we call intercurrent records created over the ensuing years. VA attempts to say that if there was no medical proof until 2018 of the injuries, then the date of entitlement is the date you filed to reopen. At this point it’s time to tell them to back the boat back up to the dock, thank you Gilligan. It isn’t clear and unmistakable error because the claim is now being reconsidered-all of it- all the way back to 1970. At any time after 1970 you prove the injury was compensable-even now in 2018- your effective date with the service department records is 1970. No ifs, ands or buts. Clear and unmistakable error claims are called a Motion to Revise a previously decided claim which is final. Final, for those word-challenged VA employees is 1970. When you reconsider a claim, you are reconsidering the original claim for those benefits. In Butch’s case, the DRO purposefully misconstrues the thrust of the regulation. She insists that nothing she read in the newly associated records convinced her that Butch was entitled to anything more than was awarded in 1970. This is the wrong legal standard of review. Remember that when you run into this conundrum. Congress was very explicit on this subject and wanted to ensure VA made right a wrong if it erred in the past or, in this case, when service department records were finally associated with the file which categorically addressed the error and discussed it. The reason we know that (4) can be interpreted to grant retroactivity is simple. If you filed for Bent Brain in 1970 and were denied (implicitly or otherwise), and you now have a bonafide diagnosis of Bent Brain granted in 2006, you have no medical evidence from 1970 to prove it. All you have is evidence now to support the 1970 filing. 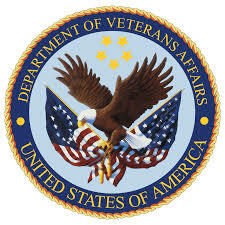 In this case VA is required to grant the retroactive claim based entirely on the 2006 evidence. The only wrinkle Vets stub their toe on is whether they filed for it. Butch happened to mention at his 8/10/1970 C&P exam, and VA idiotically put it in quotes, that he had ringing in his ears, blurry vision, pus coming out of his ears and frequent headaches. Gee, you reckon this might be due to TBI or that 60mm breakfast? Butch thus gets to use Jandreau v. Nicholson, 492 F.3d 1372 (Fed. Cir. 2007) which says…lay testimony describing symptoms at the time supports a later diagnosis by a medical professional. Ruh-oh Rorge. The teaching moment is obvious. Don’t let these gomers VAspeak you out of your due compensation. To understand this better or to write your very own claim for a §3.156(c) adjudication, I attach the following. I had to search for the perfect example and use a current appeal to illustrate this. The obvious beauty of a §3.156(c) claim is you get to use current law to defend yourself against VA’s stupidity in 1970. With a CUE claim, you are limited by the law as it was written in 1970. I would like to add that you will notice this little gem was won by a VA agent-one Terri Perciavalle. Here’s her info in case you desire to have her do your claim. I expect her dance card is plumb filled up after this gem. This entry was posted in 3.156(c), Agent Orange, All about Veterans, BvA Decisions, C&P exams, CAVC Knowledge, Informal Claims, KP Veterans, Lawyering Up, Nexus Information, TBI, Tips and Tricks, VA Agents, VBMS Tricks, Veterans Law and tagged 1969-LZ CORK, asknod.org, §3.156(c) claims, Disabled Veteran, DIY vA Claims, HCVETS, Help with vA Claims, Helping Veterans, Inspirational Veterans, LZ Cork, LZ Cork Butch Long, Service Connection, VA claims, VA Extraordinary Writ of Mandamus, Veterans Benefits, Veterans claims help, Vietnam Veterans Claims Help.. Bookmark the permalink. There can be no “previous” decision because the mere introduction of the pertinent service dept. records into the claims file stays the finality of the original filing. Every instance of this error I have encountered involves VA using the wrong legal standard of review-i.e. §3.156(a) instead of §3.156(c). Garbage in-Garbage out. This is the inherent problem with using the M21 manual to decypher 38 CFR. A perfect explanation! We Must use their regulations against them-when they screw up! In VA poker, Berta, a full house reconsideration beats a two pair reopen every time. If every Vet who won using his or her own brains would consider a career in this, VBA would be going back to Congress with hat in hand for more $ every week. You never cease to amaze! I hope you continued good health till for decades for selfish reasons. A fountain of knowledge. It’s going to take me a while to grok this but I know it’s going to be good and I’m already smiling. In fact, I just emailed it to my son who served in the Middle East and Asia (AF) because it may help him think about some of his injuries. Hello Alex: Happy to see you are still full of piss and vinegar and enjoying your work. This is a mother lode of info. Thanks for sending this out. Should help a great deal with some current matters. Best wishes.